Restores and revitalizes deeply damaged hair. 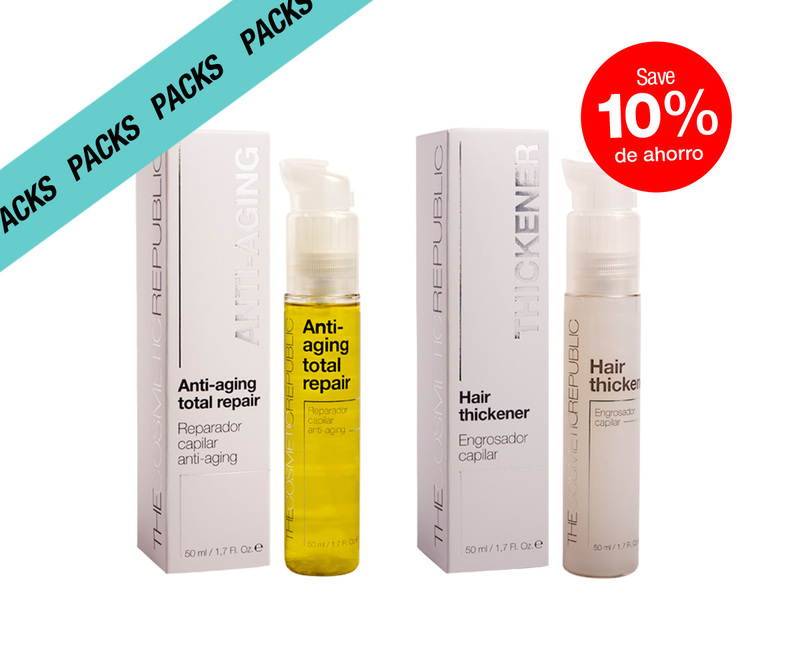 •	Repairs the hair, giving it more shine and vitality. 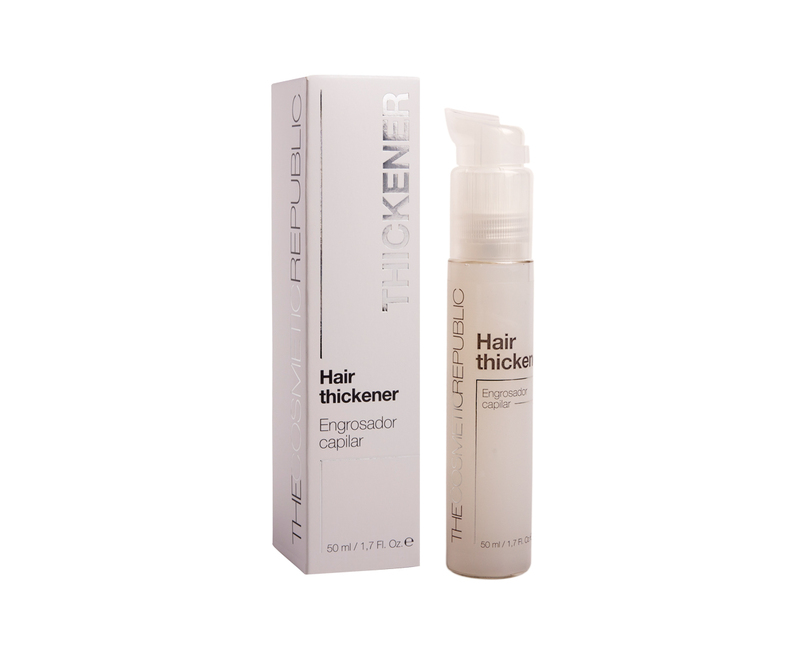 •	Increases hair thickness and volume. •	Nourishes and regenerates the scalp. •	With natural ingredients, vitamins and keratin. •	Paraben & sulphate free. •	Does not grease or soil hair. This treatment defies time, repairing and promoting the rejuvenation of hair that has become thinner and fragile, giving it more strength and volume. Its unique formula with natural extracts and vitamins, combined with microtechnology and cold pressing techniques, nourishes, regenerates and moisturizes damaged hair, controlling the frizz to get a more abundant, shiny and healthy hair. 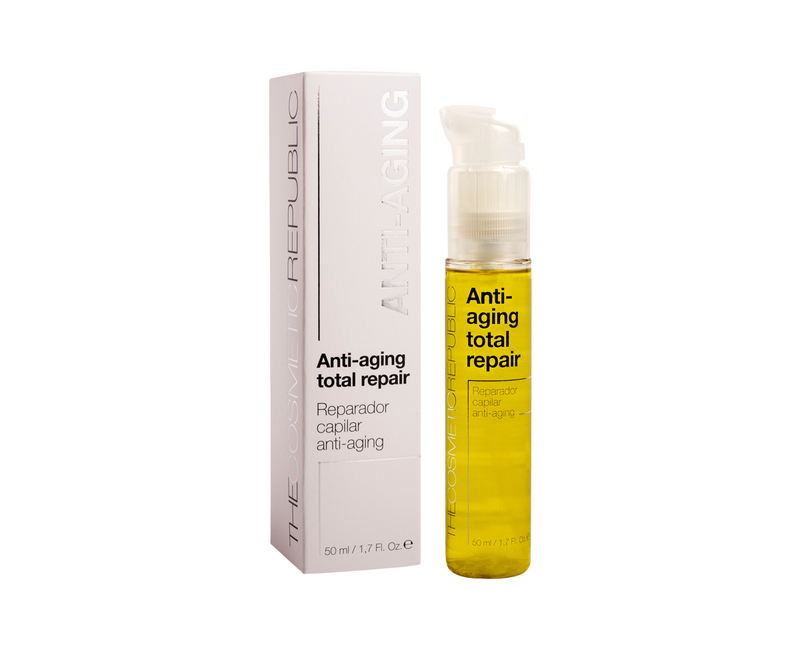 Anti-aging Total Repair: Cyclopentasiloxane, Argania Spinosa Kernel Oil, , Persea Gratissima (Avocado) Oil, Rosa Canina Fruit Oil, Simmondsia Chinensis (Jojoba) Seed Oil, Helianthus Annuus (Sunflower) Seed Oil, Limonene, Coumarin, Alpha-Isomethyl Ionone, Benzyl Benzoate, Daucus Carota Sativa (Carrot) Seed Oil Root Extract, Daucus Carota Sativa (Carrot), Linalool, Ascorbyl Palmitate. Apply 1-2 drops of the Anti-Aging serum on the palm of the hand and spread evenly on wet hair after washing. Comb the hair to distribute the product evenly. Do not rinse. After a few minutes, apply 1-2 drops of the Hair Thickener on the palm of the hand and spread evenly on dry or wet hair from the roots to the tips. Do not rinse.